Tips To Protect Silver Jewellery In Rainy Season. 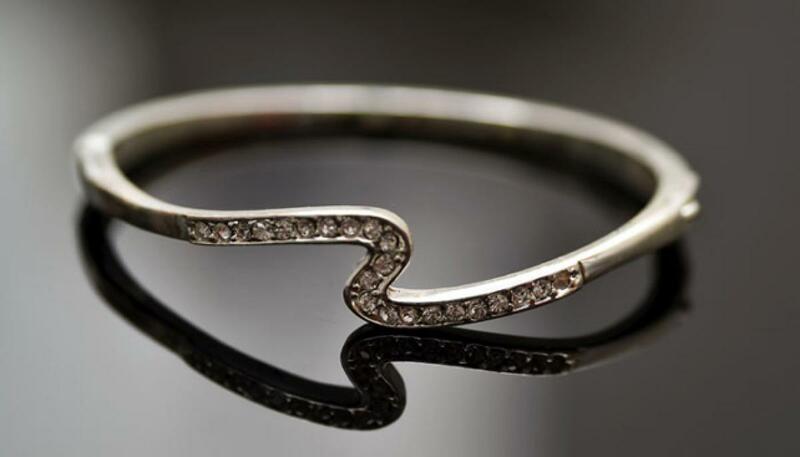 Silver jewellery needs extra care in monsoon as it has a tendency to turn black. Try to store it away from humidity and polish it well with a soft cotton cloth. New Delhi: Silver jewellery needs extra care in monsoon as it has a tendency to turn black. Try to store it away from humidity and polish it well with a soft cotton cloth. To prevent silver jewellery from getting tarnished, Ashutosh Sharma, designer and managing director of Shreem Jeweller, has shared easy tips. * Storage: The more moist the climate, the faster it tarnishes. To keep your silver shining bright, store silver jewellery in a cool and dry place as exposure to air will tarnish it. It is advisable not to store multiple jewellery pieces in the same bag as silver is a soft metal, so the individual pieces can scratch each other. Just make sure that the storage area has low humidity. You can also place a piece of chalk or a container of silica gel in the storage area to minimise tarnish as they useful in absorbing moisture in the air. * Avoid exposure: Exposure to humidity, certain acids and cosmetics such as lotions and perfume or contact with rubber bands can cause tarnish due to the existence of sulphur in the rubber band. Some of the household items like mayonnaise, eggs, mustard and onions contain sulphur. So, it’s a good idea to remove silver jewellery while doing household chores. Make sure to avoid wearing any silver metal jewellery piece when you go for swimming and sunbathing as direct sunlight also causes silver to tarnish. * Homemade cleaning style: You can clean your silver jewellery just by using ingredients from your kitchen. Dip it in warm soapy water and clean it using a soft brush and then thoroughly rinse it under running water. After this, dry it with soft towel or a clean damp cloth. * Polishing: Polish it with a soft cotton or muslin cloth regularly.